Credit management software is used to prioritize and optimize credit management workflows. It also performs the function of storing key information and preparing many of the daily tasks that the credit management team are responsible for. The primary purpose of using this type of software is to improve the efficiency of the credit management process and give employees more time to focus on high priority tasks that require their attention. Many companies start using a credit management software package for the purpose of enhancing the customer experience. As a matter of fact, credit management software packages have been quite effective in improving customer relationships and increasing customer retention. There are a number of different credit management software packages that are currently available in the market. Some of them can be integrated into the entire accounting system of a company. 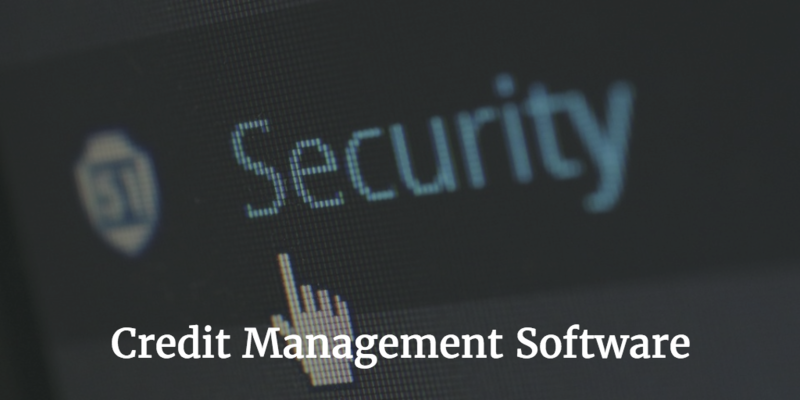 In other words, the credit management software can become a part of other software systems. If you are looking for top tier credit management software packages, then the list below presents a few high performing products that are worth looking into. The creators of this software have labeled it as the “optimum solution for the automation of accounts receivable”. As the label clearly suggests, this web-based software specializes in automating any activity that relates to the management of accounts receivables. The creators boldly claim that this is the best credit management software package on offer for any business out there. Given how well the product has performed in the market, it is fair to say that their claim is not unreasonable. CreditManager boasts a Microsoft Certified Gold Partnership which guarantees users that the software will always run on and be compatible with the latest Microsoft technology. One of the reasons why this product has attained commendable popularity is because it can be seamlessly integrated into any business environment, regardless of the size of the company. The users have the option of letting the CreditManager team host the software for them or go for local installation. The software has been tested on high volumes of invoices and debtors, and according to the creators, it has passed the test with flying colors. Other praiseworthy features of the software include conditional workflow and flawless data integration based on web services. CreditForce has earned the reputation of being called a world class credit management software. It is a great option for mid to enterprise level businesses as it provides unparalleled features to enhance every aspect of the process known as credit management. For more than 20 years, people have put their trust in CreditForce, which is now a global company as it is being used in 29 different countries. The most notable feature of CreditForce is that it has delivered in every sector and has produced impressive results under the most challenging environments. The software provides end to end solutions that primarily focus on cash generation, rapid query resolution and intelligent workflows. In addition to that, it improves collector productivity by automating task lists and giving users functions that are extremely easy to use. Furthermore, the software is programmed to reduce the risk of bad debts through proactive account management and will monitor and enforce compliance with the selected credit policy. This credit management software package is designed to help your collection team focus on creating value and pursuing customers that require extra attention. With the help of this software, they will no longer have to engage in gathering data from spreadsheets and sales ledgers. Most importantly, it will save them the hassle of calling customers that do not need to be called. Rimilia has marketed Alloc8 Collect as a credit management software that is capable of evolving with time. In other words, the system learns as it goes. It has been programmed to accurately forecast customer behavior by using multiple parameters. This allows your credit management team to have all the information they need in real time. The software uses intelligent segmentation and customer categorization to help you focus your attention on customers that need to be contacted. The simple, cloud based setup, the self-learning engine, innovative user interface and dynamic reporting are some of the features that makes it a top notch credit management software. OnGuard is an integrated credit management software that maximizes efficiency, improves your company’s insight and increases your chances of satisfying customers. With OnGuard installed, you can receive accurate information about the payment status of each customer every single time without fail. In addition to that, the software helps you prioritize the most fundamental accounting tasks every day so that your credit management team can allocate their valuable time to other more important work. It provides visible results in real time so that you can keep track of your progress on a regular basis. Most importantly, it provides all the tools necessary to keep your accountants stress free and relaxed. Interested users can request a demo to test the performance of OnGuard and figure out whether the software is compatible with their business environment. This software company is a specialist in creating collections, query and credit management software. What is different about their credit management system is that it is highly configurable which makes it easier for users to adjust it with their business environment. With Credica installed, users can enjoy complete visibility and control over their credit management endeavors. The software is a product of 15 years of development work based on the input of 1000 credit professionals from across Europe. Like other top notch credit management software packages in the list, Credica is designed to reduce debt, improve the visibility of risk, automate credit management processes and provide a rapid ROI.